The condominium provides fun and comfort for the whole family. The room is located in a Hotel with good infrastructure (PortoBello Park), LOCATED 390 METERS FROM THE BEACH OF TAPERAPUÂ and the tent Axé Moi, the most popular of the city, the condominium has one of the best leisure facilities in the region: Campo de Football, Swimming pool (adult and children), Children's playground, Tennis court, Volleyball court, Sports court, Recreation (adult and child), Game room, Steam room and Water slide. In addition to all the comfort of a hotel like daily room cleaning, provision and exchange of bath towel, room service, car rental service, convenience store, restaurant and baby food canopy and baby bottles. Fun guaranteed for adults and children, relaxation, games, music, dance, interaction, drinks, snacks, snacks and much joy, all taught by a trained and kind staff. Baby equipment, Parking, Own generator, Wi-Fi, Convenience store, Room service, Security, Car rental and Laundry service. NOTE: Breakfast and bed linen are not included in the daily rate - The hotel offers breakfast, lunch and dinner, and room service, meals and bed linen are to be paid directly to the hotel upon departure. Bed linen change not included - The hotel charges the 1st (first) bed linen at the time of check-in, in case you wish to change bed linen this should be paid directly to the hotel upon departure. Towels and towel changes are provided by the hotel. In the hotel lobby, there is a small car rental agency and convenience store. Que bom que você gostou fico muito feliz, caso precise novamente estou a disposição. 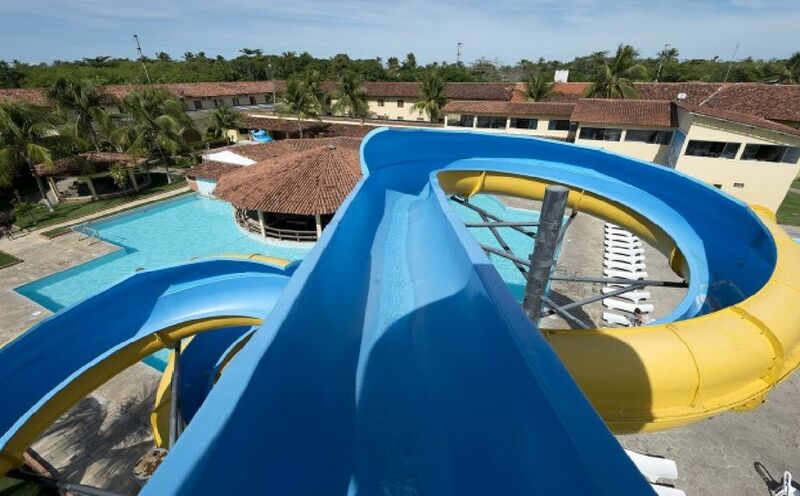 The room is located in the Hotel Portobello Park, located 390 meters from Taperapuã beach, the most popular of the city, has one of the best leisure facilities in the region: Football field, Swimming pool (adult and children), Children's water playground, Quadra Tennis court, Volleyball court, Sports court, Recreation (adult and child), Game room, Steam room, Water slide. As tarifas pode sofrer alteração a qualquer momento.